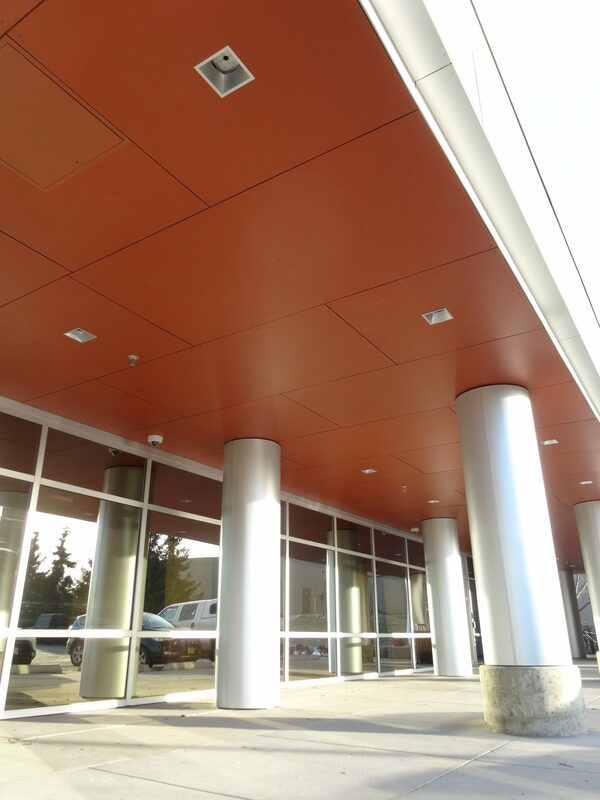 Built in the 1980’s using Corten metal as the cladding, this building was an Anchorage Icon for many years. 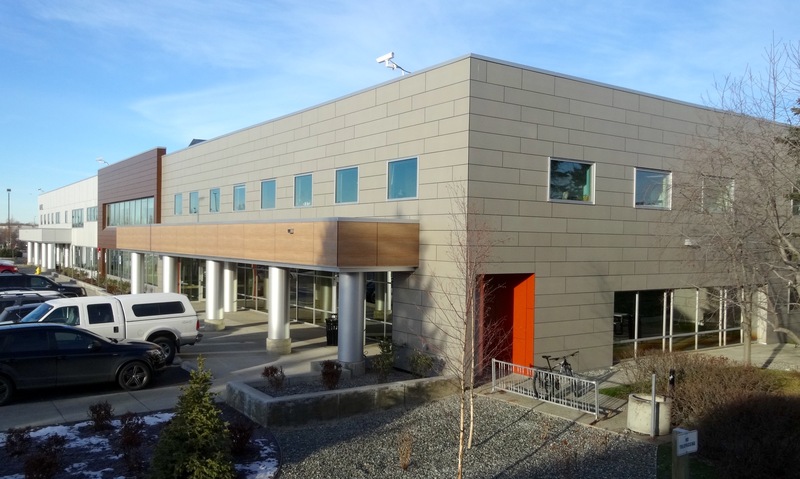 Loosing its architectural appeal, yet still having good bones and excellent location, the owner opted to give the building a complete remodel, which included the exterior shell overhaul. 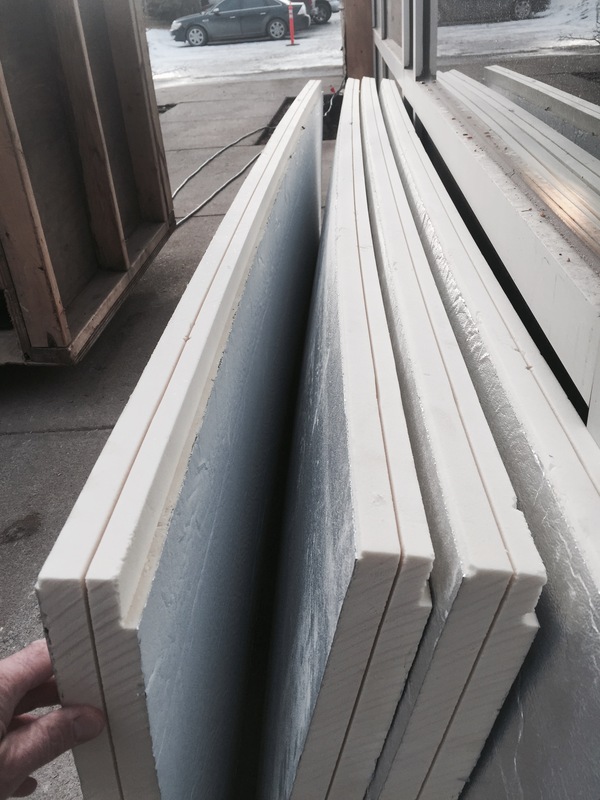 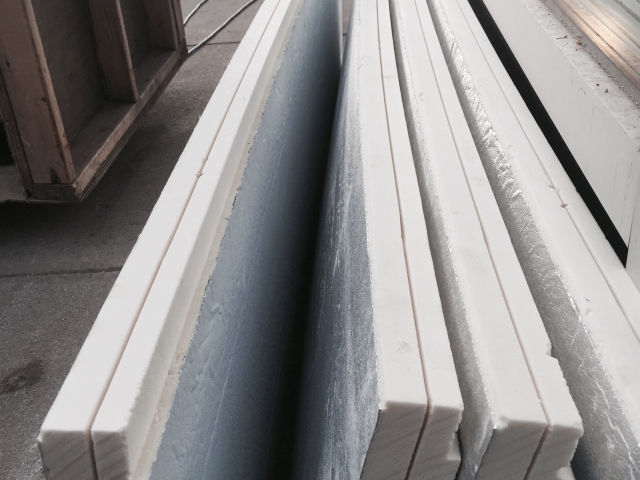 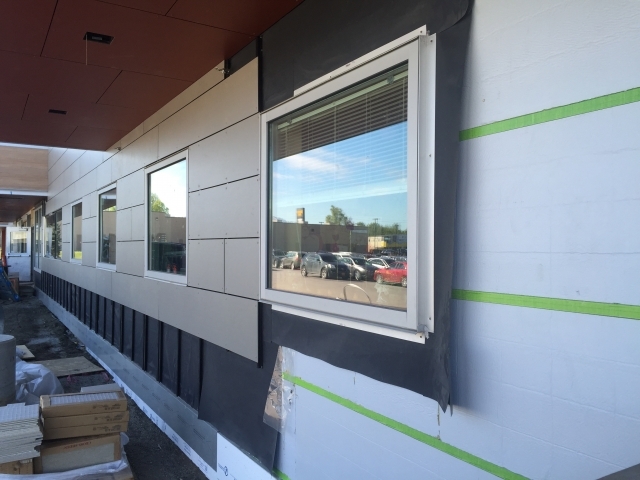 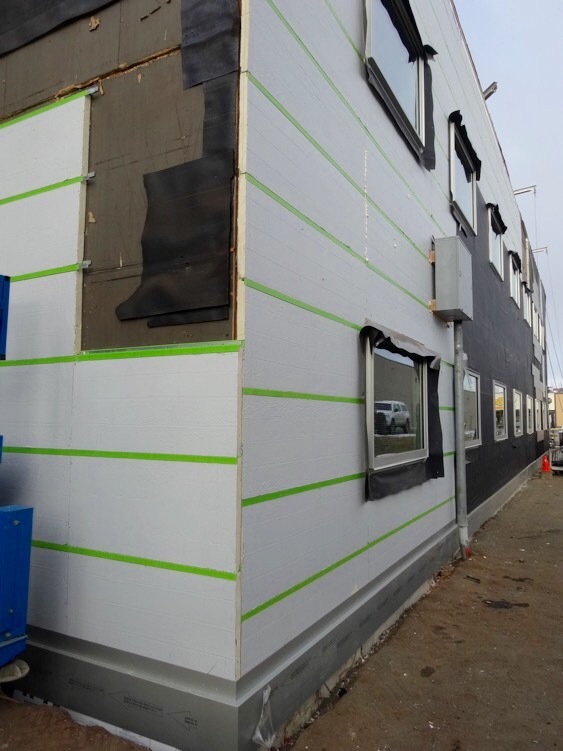 Adding 2” of insulation to the exterior by utilizing thermally broken fiberglass girts from SMARTci to hold the insulation in place, allowed for a 95% thermally efficient upgrade with the R-14 insulation. 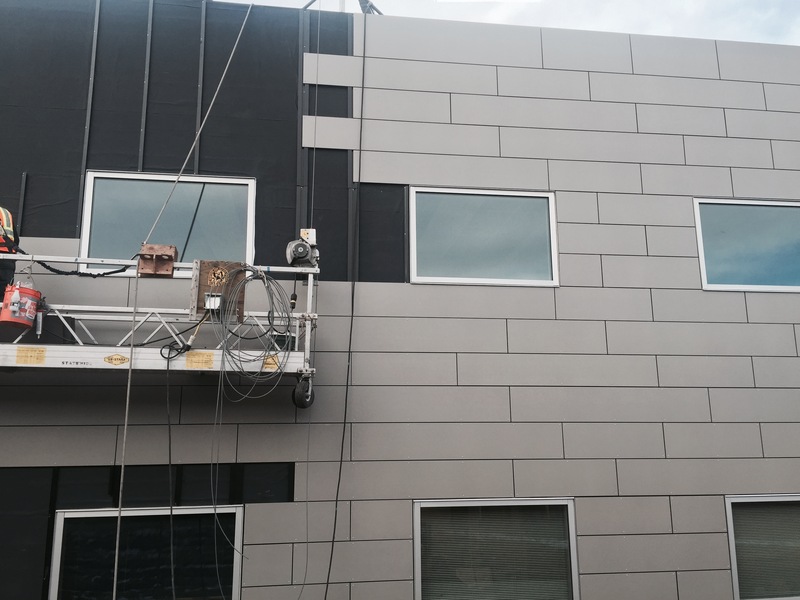 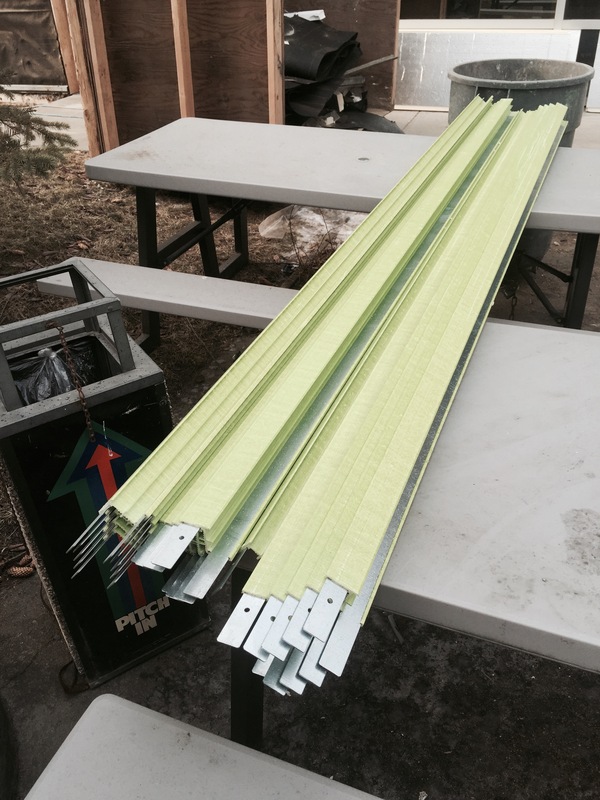 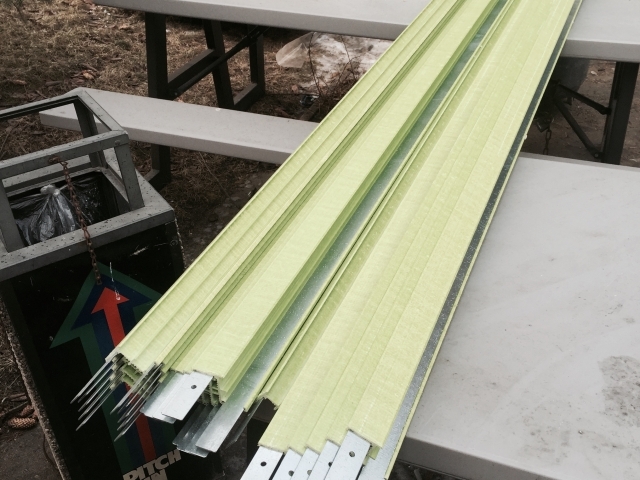 In addition, the girts are structural and allow the cladding system to be connected directly to them. 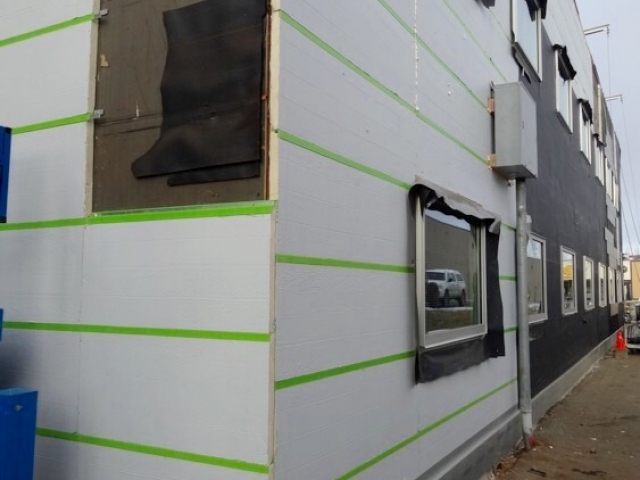 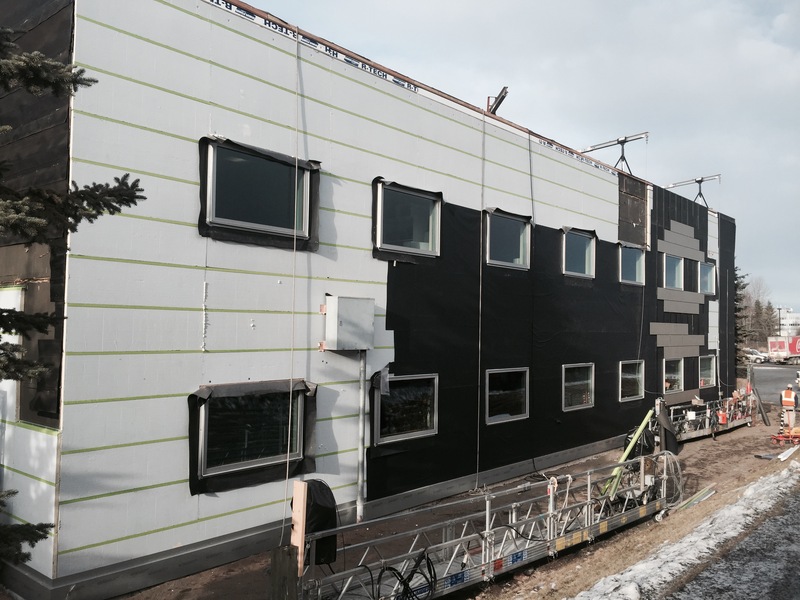 After removing all existing cladding down to the substrate, the thermally broken girts and insulation were installed horizontally. RevealShield SA was then adhered to the insulation only after the new windows were flashed with VaproFlashing and Liquiflash. Installing contractors did an excellent job of sequencing and installing all components properly. 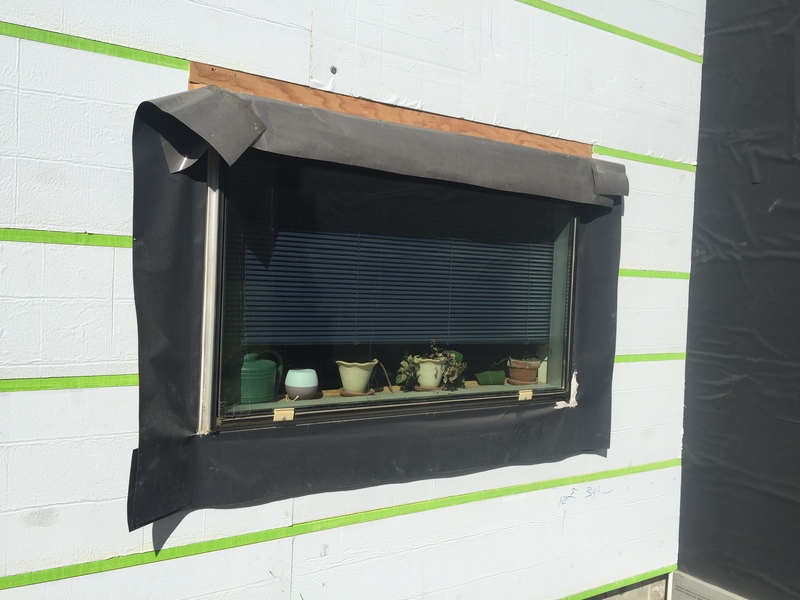 The black aluminum girts were then installed vertically and attached to the SMARTci girts. 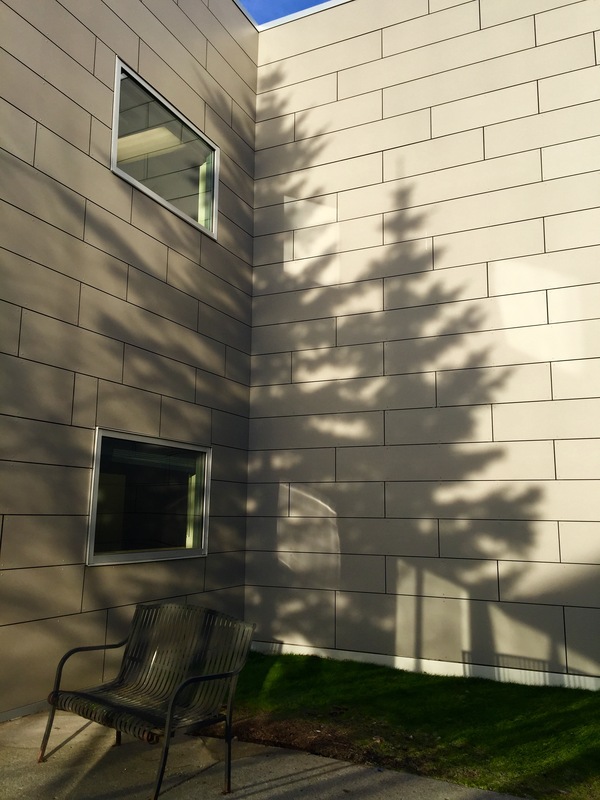 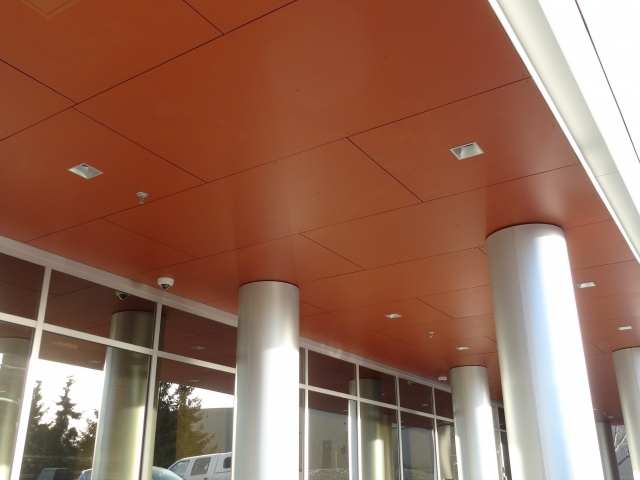 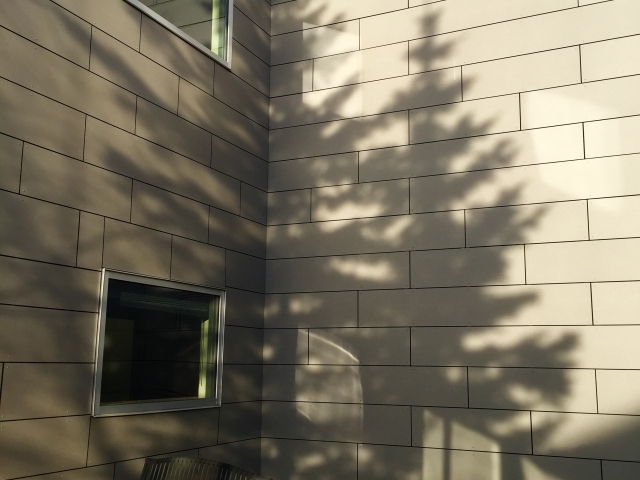 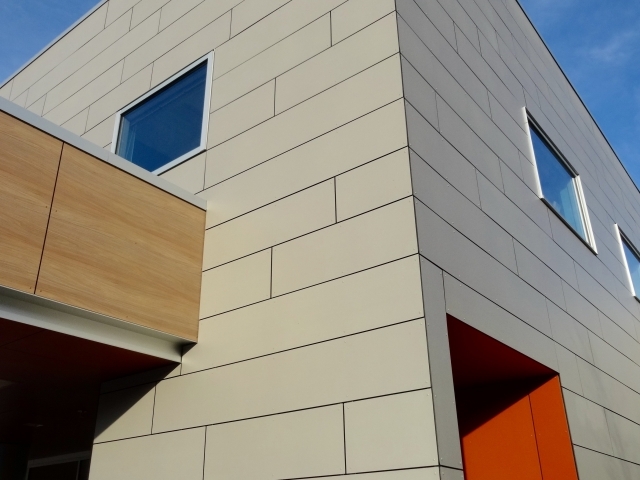 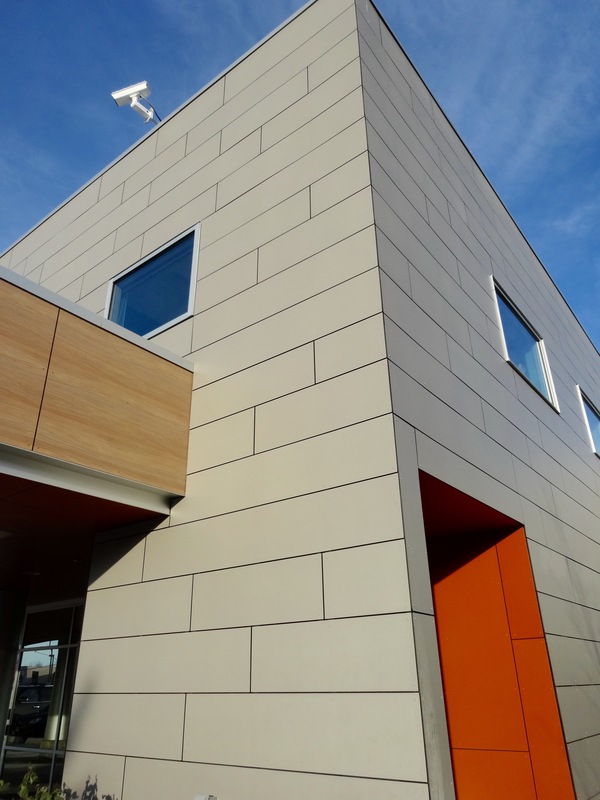 To this, the Stonewood panels were installed per plans. 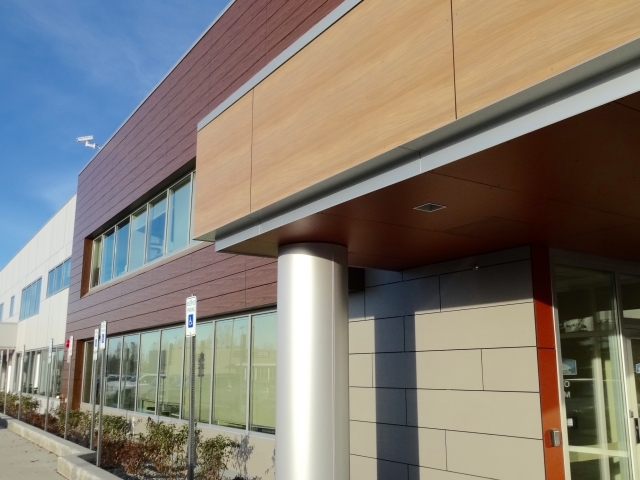 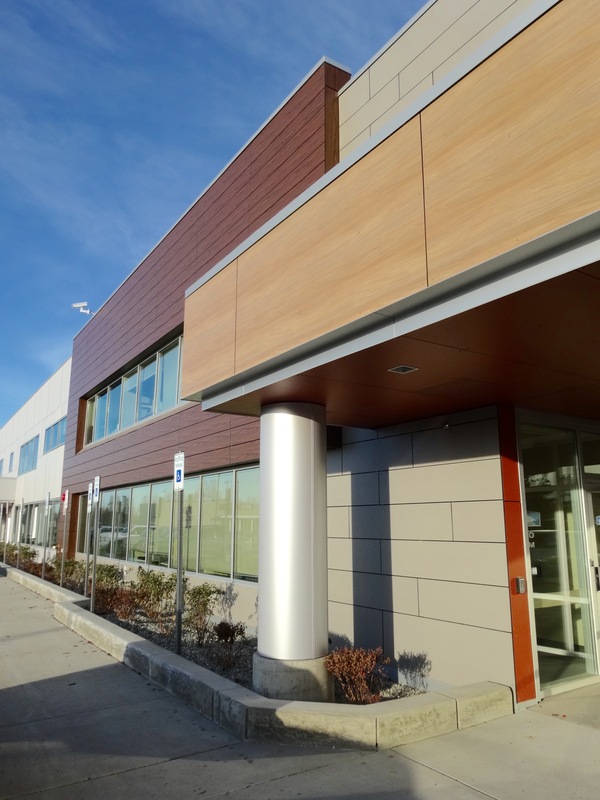 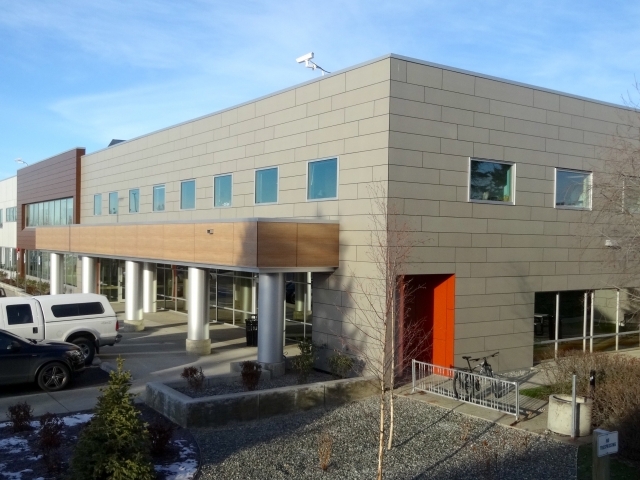 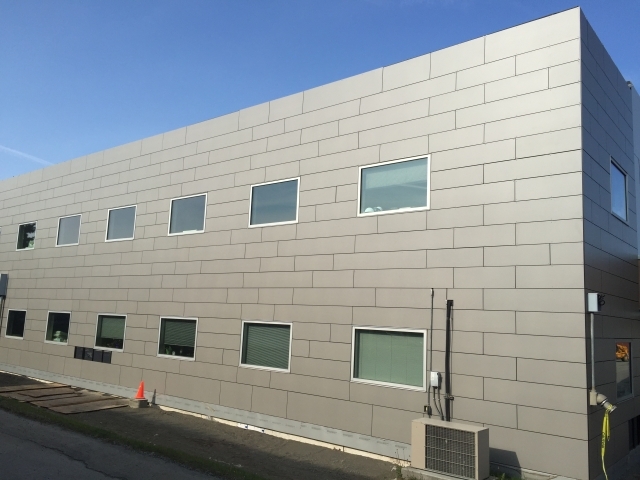 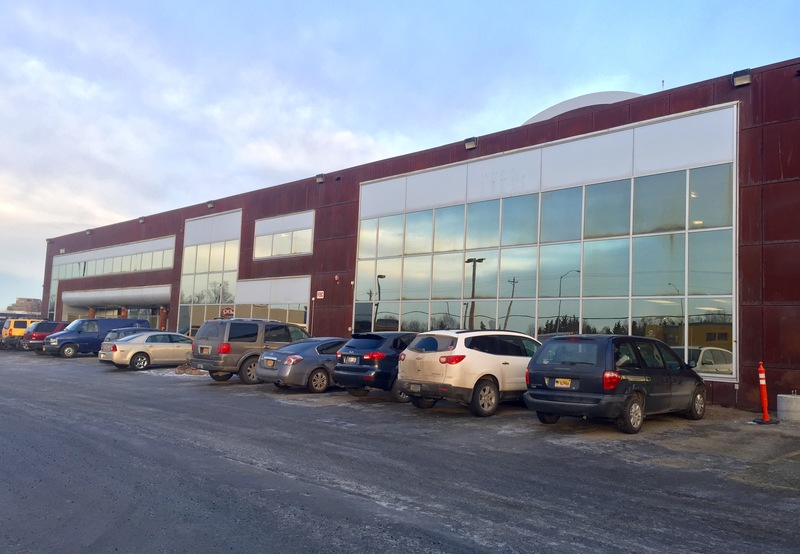 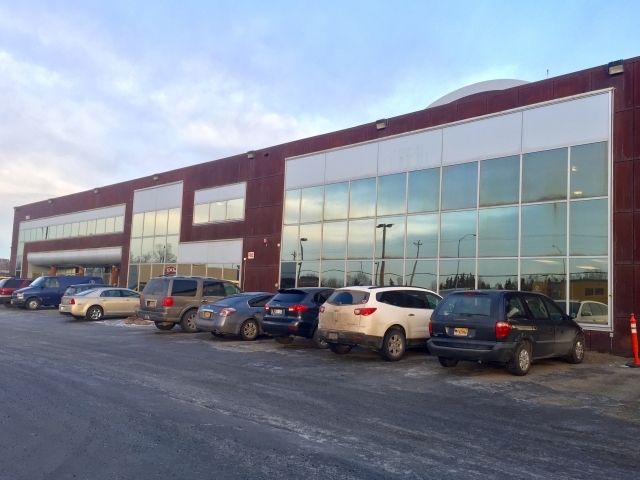 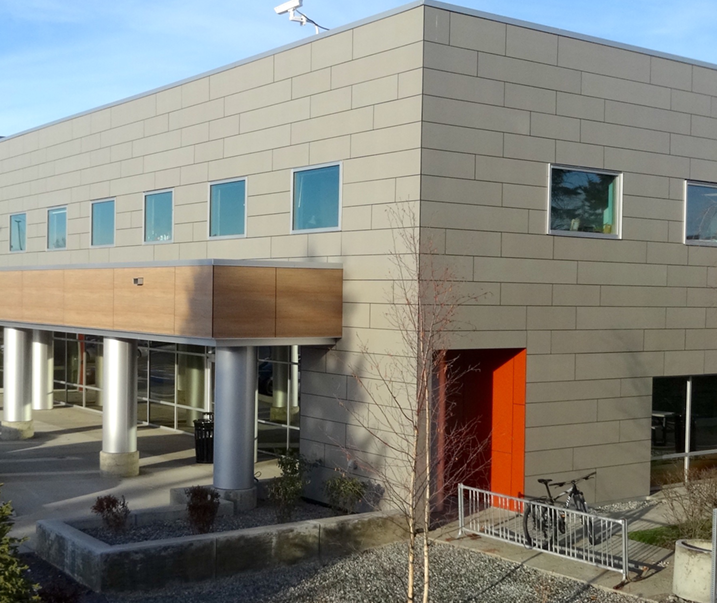 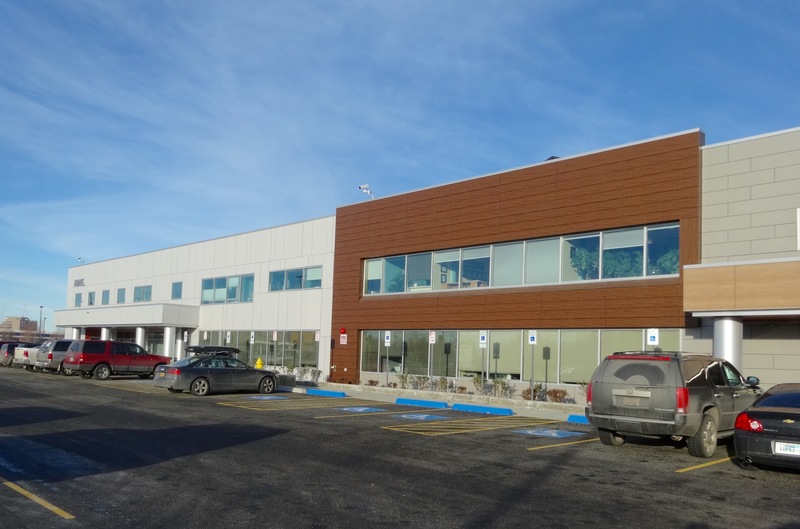 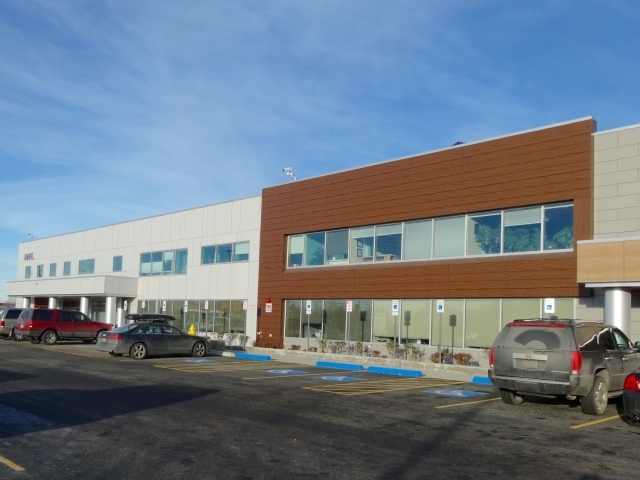 The architect did a wonderful job with color and module size selection to give the building a much needed update and make it once again a beautiful building in Anchorage.